All American is an American 60 minute scripted television series, which kicked off on October 10, 2018, on The CW and is broadcast every Wednesday at 21:00. The show is currently in its 1st season. The CW is yet to announce the renewal of All American for Season 2 as well as its cancelation. Sign up to track down the show's status and its release date. 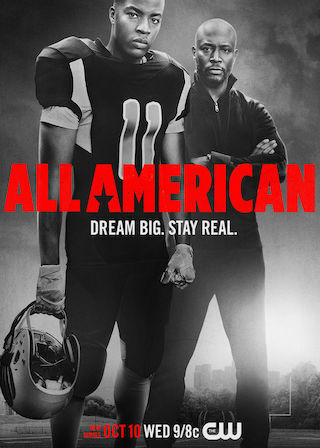 When a rising high school football player from South Central L.A. is recruited to play for Beverly Hills High, the wins, losses and struggles of two families from vastly different worlds  Compton and Beverly Hills  begin to collide. Inspired by the life of pro football player Spencer Paysinger.